Clearing ice and snow is important to you and your customers. 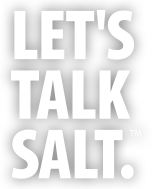 And because winter weather won't wait, you require a dependable salt supplier. Central Salt provides extended depot hours and technical sales support so you and your clients are never left out in the cold. However, even the best service means little without superior products. So not only do we make sure that you have a steady supply of deicers - we also ensure you can access some of the most complete and reliable enhanced deicers available. Central Salt deicing products have been formulated to achieve the blend of high performance and low environmental impact you require in any special-use or low-temperature application. With depots and warehouses from Kansas through Pennsylvania, experienced technical sales personnel get these products to you quickly. For more on our each of our deicers, choose from among our listed products. For more on Central Salt's service commitment, Contact Us or learn more About Us. "This product melts so effectively that I am able to use 30-50 percent LESS product."